Ground vibrations and air overpressures from blasting and other heavy construction sources are the cause for concern on many projects that take place in congested areas. These effects must be monitored and controlled to mitigate the risk of causing impacts to adjacent structures and equipment. Vibration and sound monitoring can be invaluable in addressing neighbor concerns from perceptible vibrations that are well within established safe structural standards. 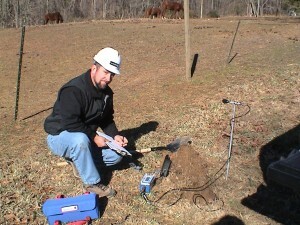 Seismic Surveys, Inc.’s independent use of seismographs and sound level meters to measure the vibration and sound levels transmitted to adjacent properties can prove to be a Contractor’s best tool for minimizing the risk of unwarranted claims and demonstrating regulatory compliance. We provide both Attended and Unattended Vibration and Sound Monitoring.